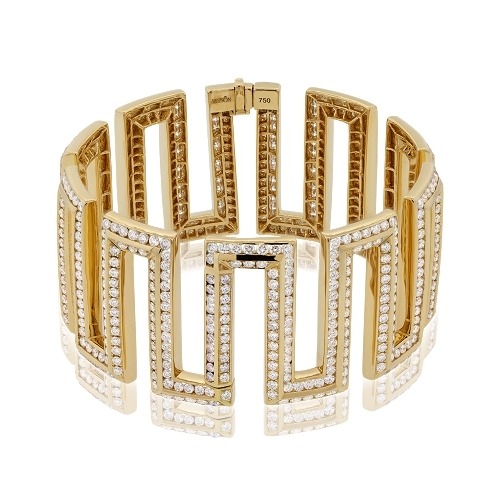 18k yellow gold geometric bangle set with diamonds all around. Diamonds approx. 14.70ct.